Seduced by the power of the brutal New York underworld, Carlos Brigante enters a deadly circle of greed and retribution. 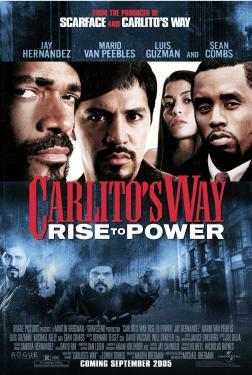 Assisted by his two brothers-in-crime, Carlito is on the fast track to becoming Spanish Harlem's ultimate kingpin. He quickly learns, however, that the only way to survive at the top is through loyalty to his friends and respect for the rules of the street.